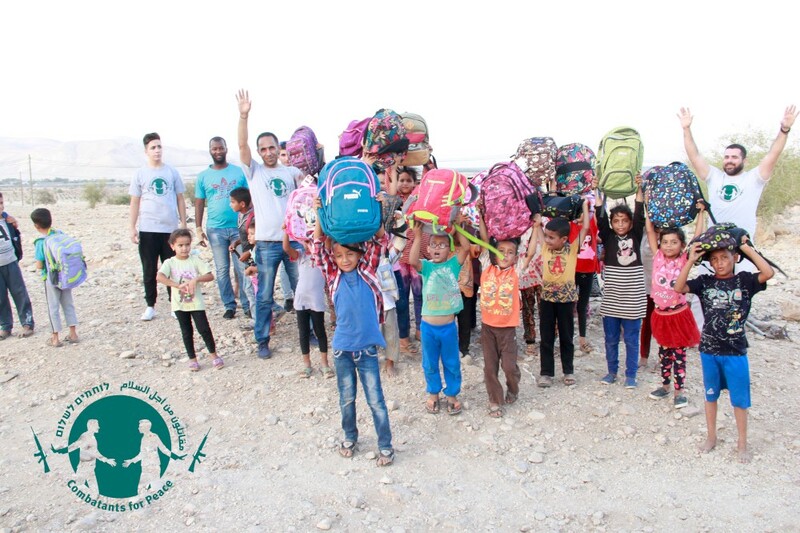 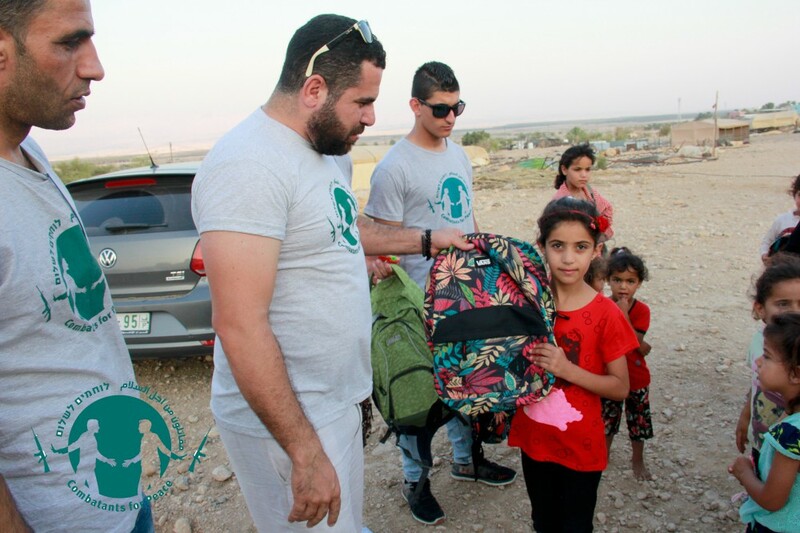 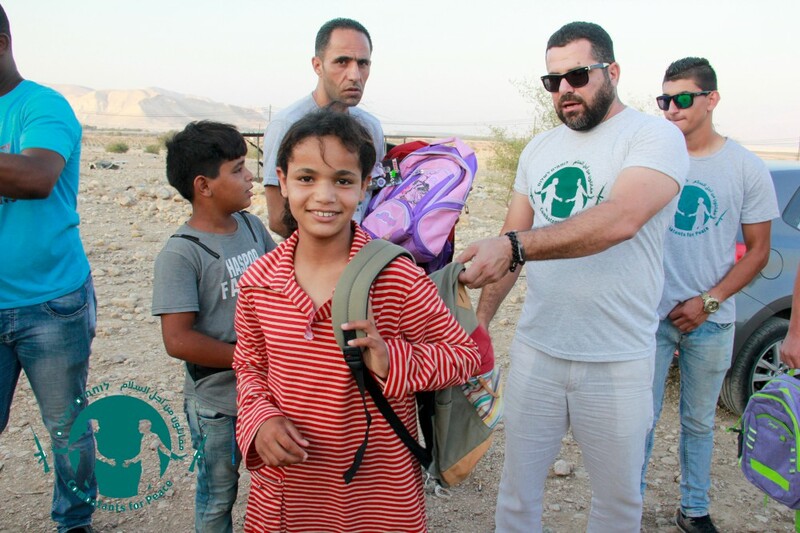 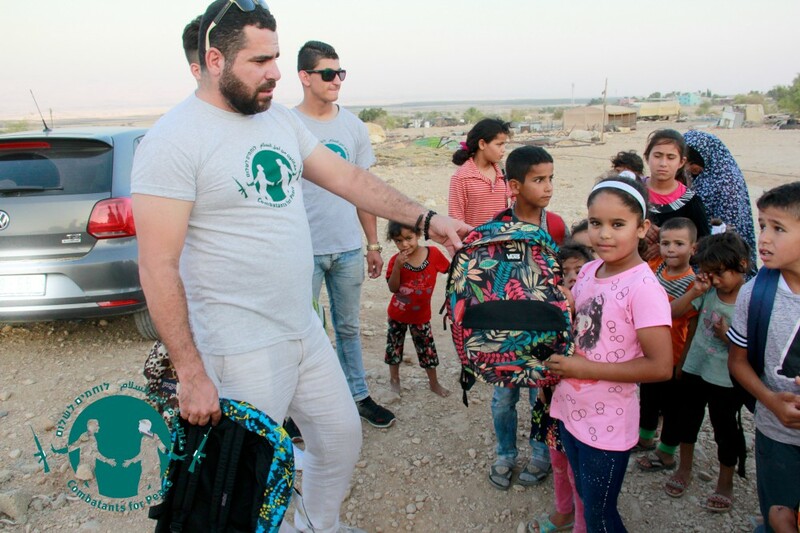 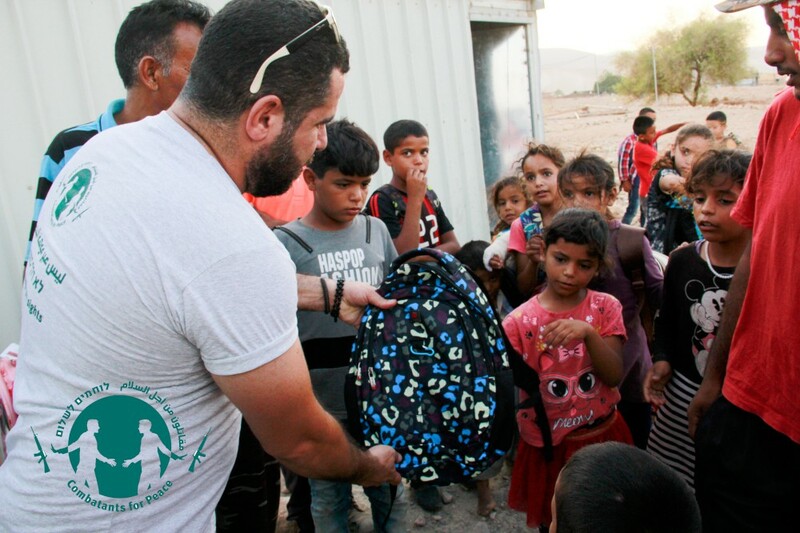 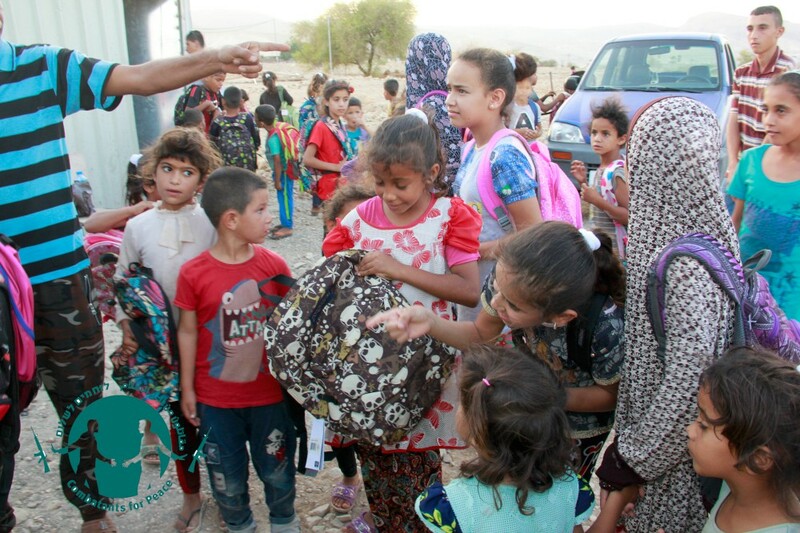 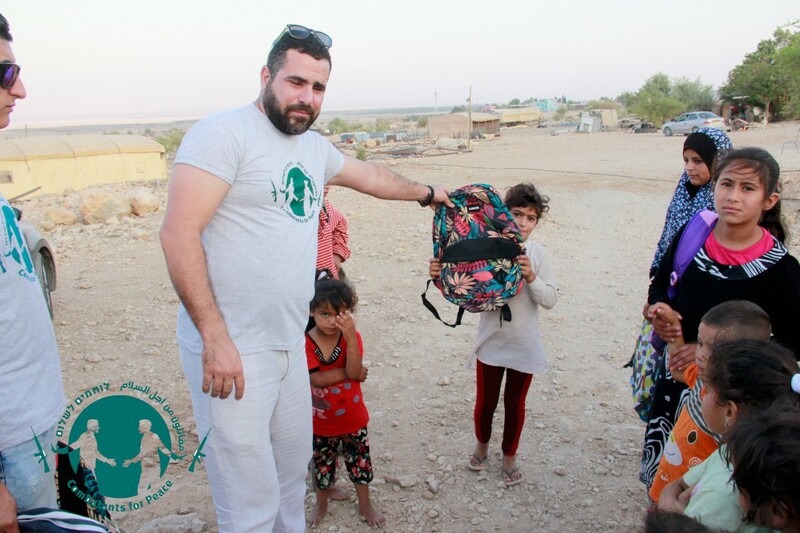 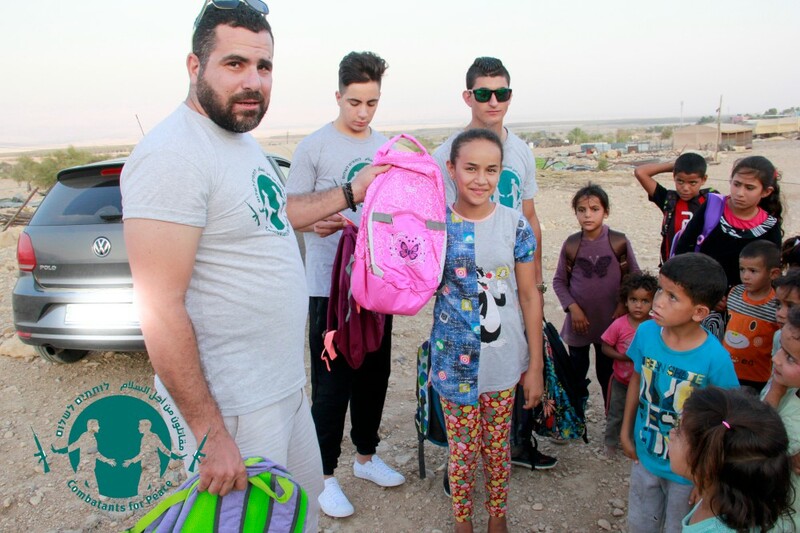 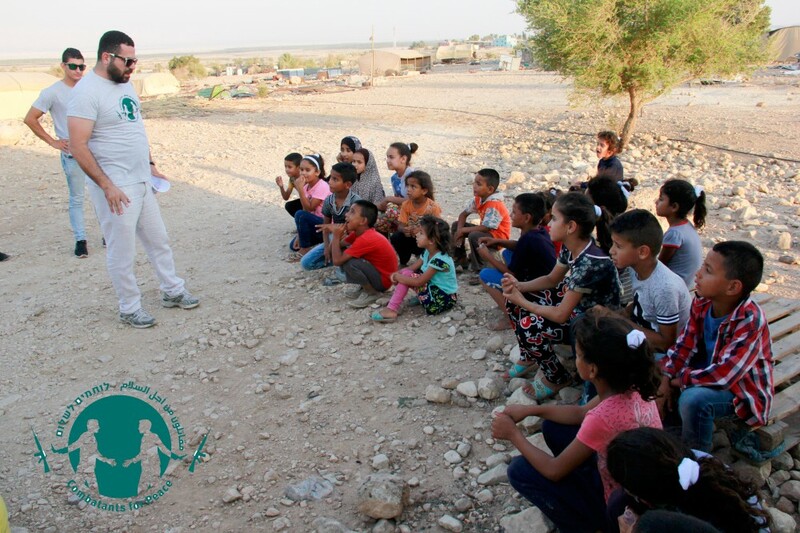 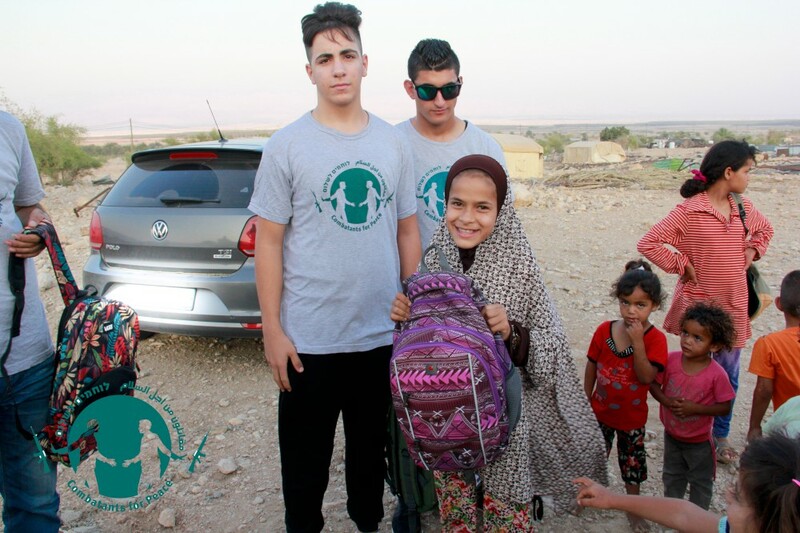 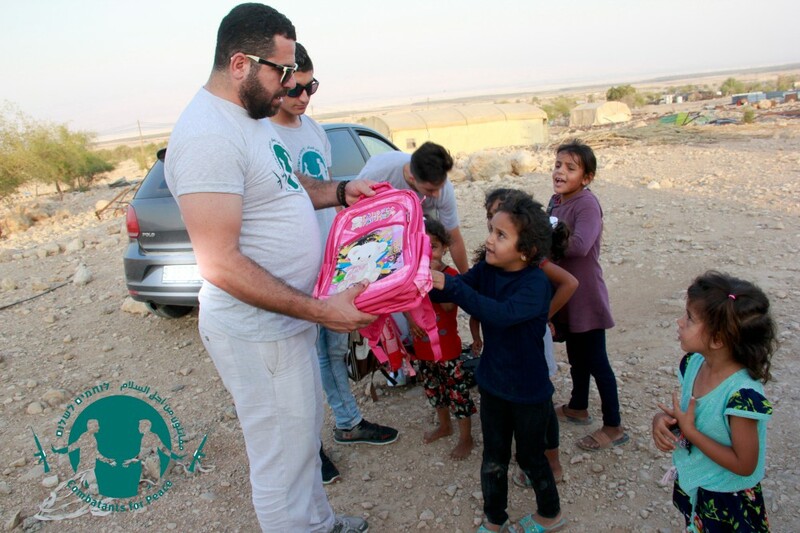 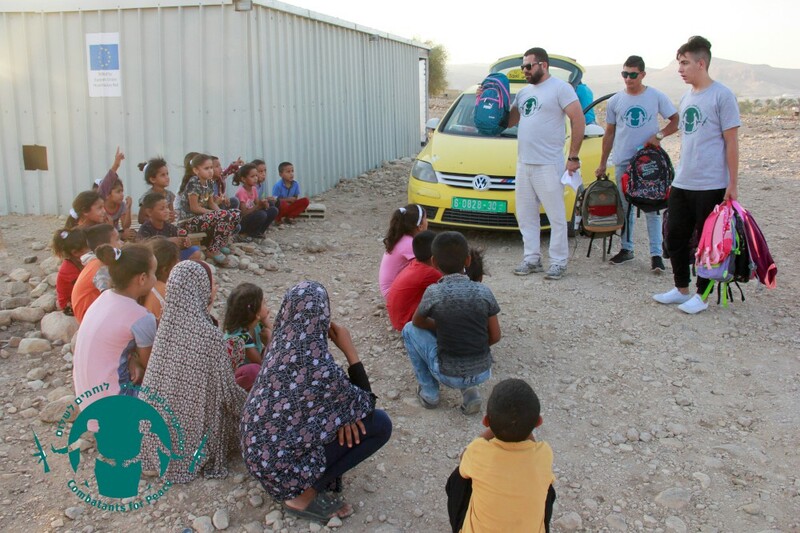 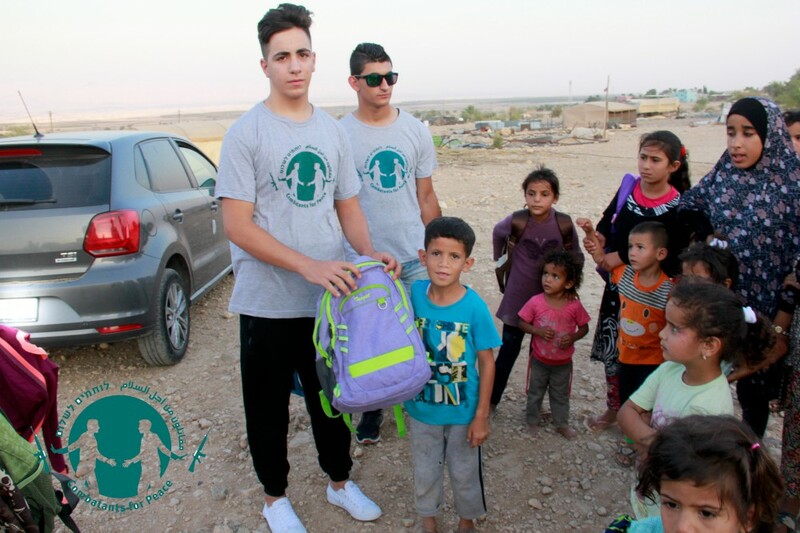 Marking the new school year of 2018/2019 the Jericho-Jerusalem group of Combatants for Peace handed-out more than 50 school bags full of school supplies to children at a number of Bedouin communities in the Jordan Rift Valley of the West Bank. 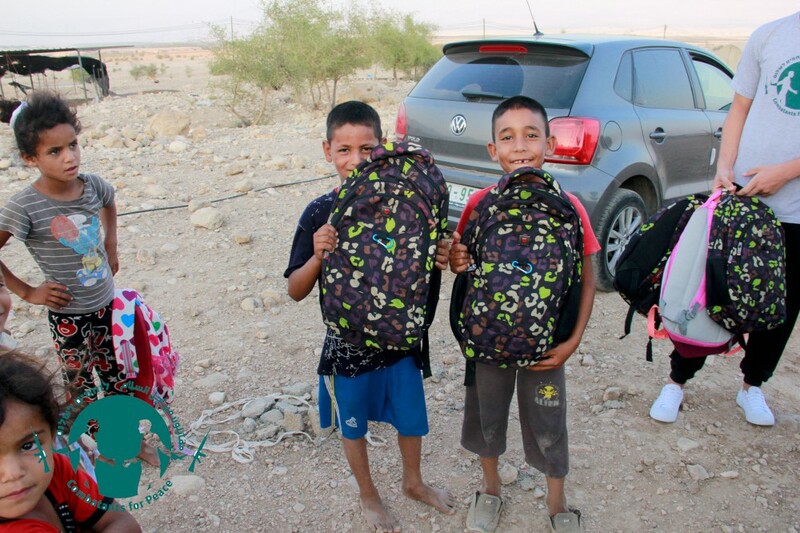 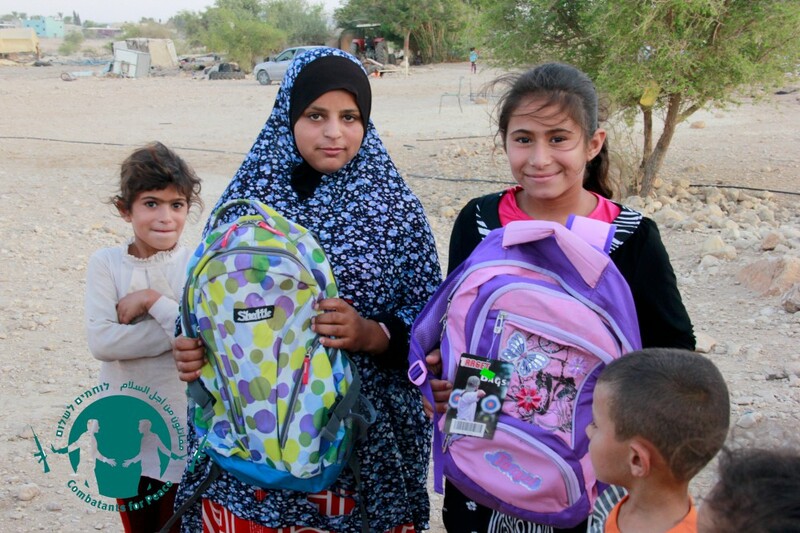 These children would otherwise have no access to school bags, pens, notebooks, books or any other school supplies. 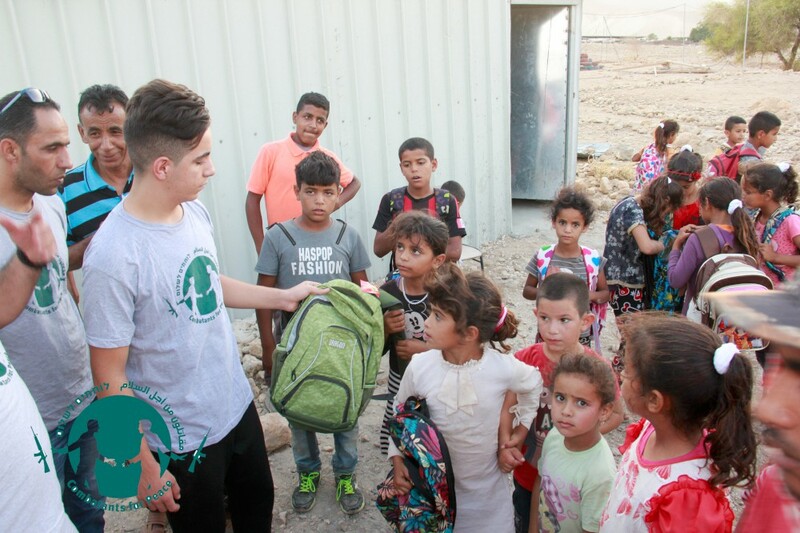 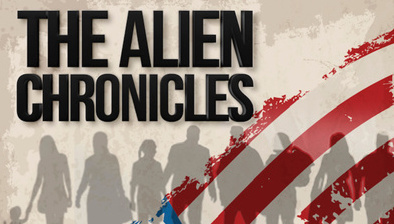 They live in “Area C” which is 60% of the West Bank – an area under full Israeli security and civil control. 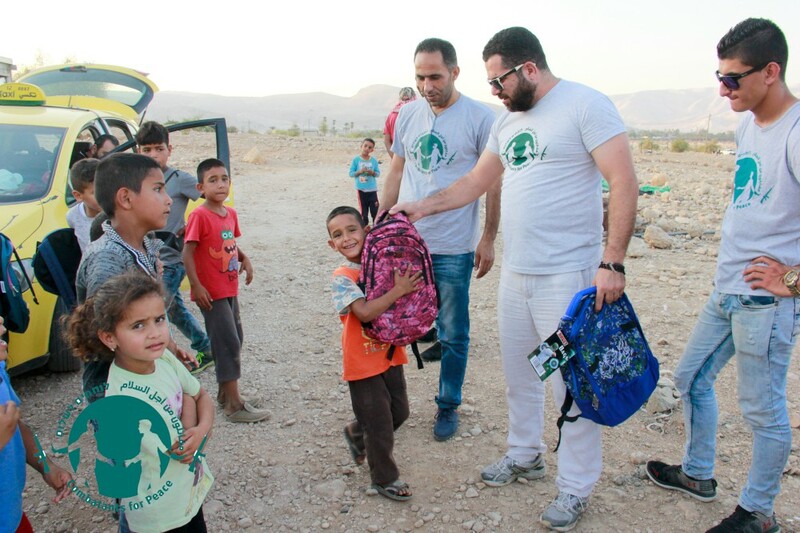 This was to be a temporary situation, created by the Oslo Accords, until final peace talks that were to determine permanent borders and end the occupation, but but the final stage of Oslo never came to fruition. 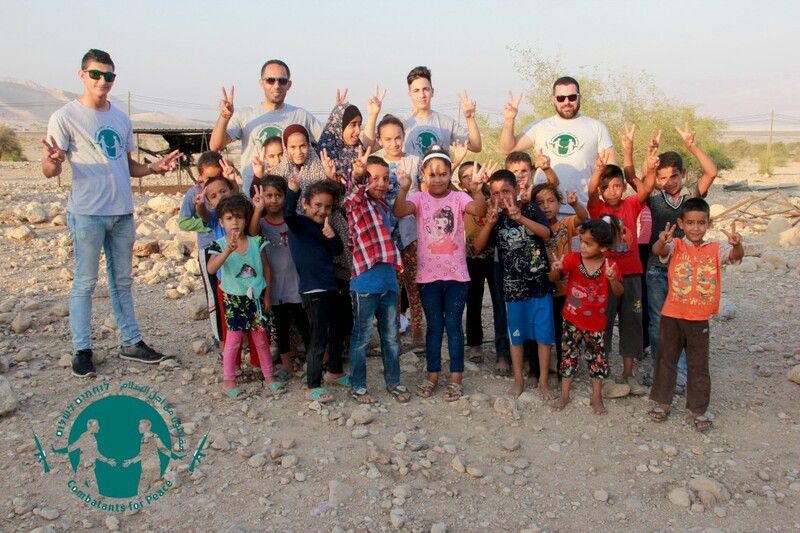 Today the army does not permit Palestinian construction in area C and it provides no services to local Palestinian communities (roads, schools, healthcare, etc). 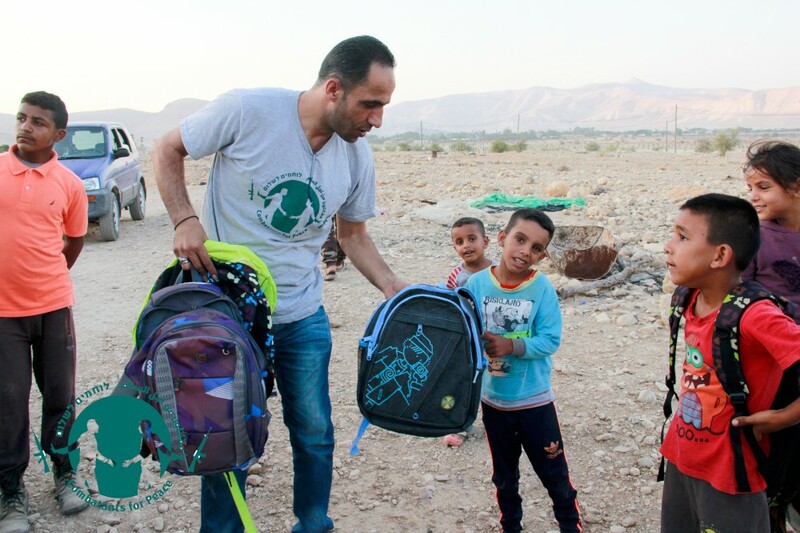 For the most part these impoverished communities, especially in the Jordan Rift Valley, have no access to running water (despite the 100 degree heat); no electricity; their livestock is frequently confiscated and their homes are subject to demolition orders. 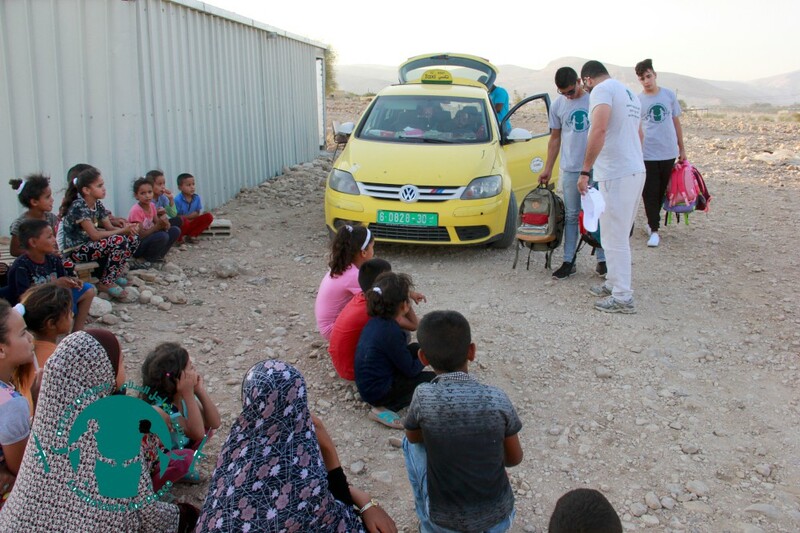 The CFP activists came to support the children’s right to education, despite living under these harsh conditions. 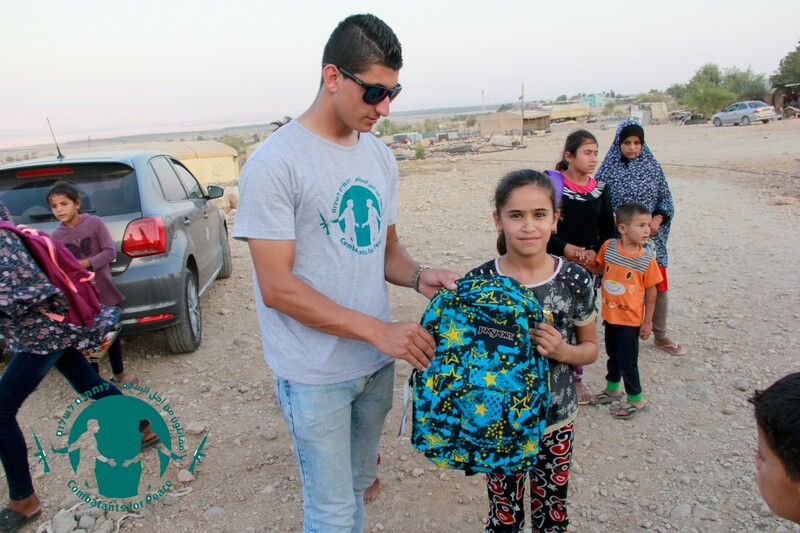 Now over 50 underpriviledged children will start the new school year with a bag full of new books.